OC Mom Blog: A Three Year Old Saves Mom's Life with 911 Song! This past June a three year old girl in Oklahoma saved her mom's life by calling 911! The Mother had taught her daughter a 911 safety song after she has discovered that she suffered from vasovogal syncope which causes her to faint. She then taught her daughter a 911 song to use on her BlackBerry if something were ever to happen. Her Mother had lost consciousness while pregnant and he daughter picked up the blackberry and called 911! 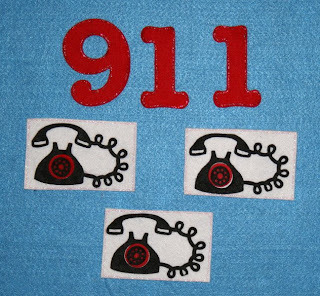 Glitterful Felt Stories has a 911 felt story safety set that we would recommend for all Mother's. It comes with a 911 safety song that you can sing along with your children. You can also use the felt set along with your cell phone!